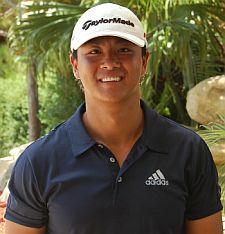 Sunny Kim of Queens, NY and Palm Beach Gardens, FL, won all three 1-day tournaments this week which made it impossible for anyone to catch him in the 3-Day Cumulative Bonus Presented by www.playbetterdistributors.com. His 54 hole total of 204 (69-67-68) earned him a mens set of BamBoom Whistle Sticks ($210 value). Big thank you to www.playbetterdistributors.com for sponsoring this week's bonus. Enter code MLGT10 on their site to save 10% off your order. 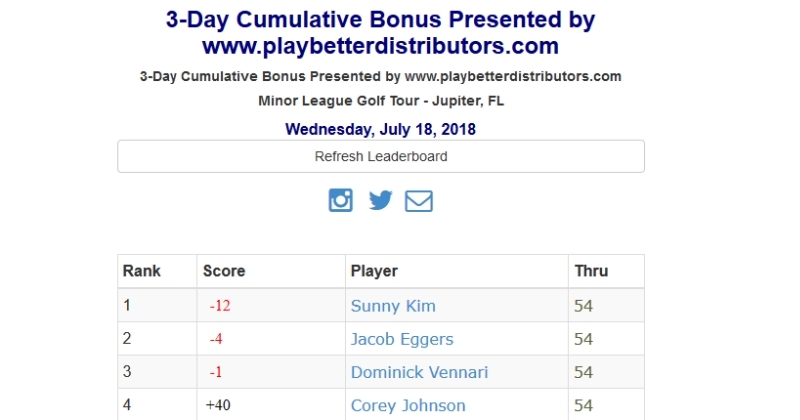 www.playbetterdistributors.com is sponsoring this 3-Event Cumulative Bonus where the low total score of the 3 one day events this week at Eagle Trace, Jupiter CC and Seagate CC (7/16, 7/17 and 7/18) will win a set of BamBoom Whistle Sticks ($210 value).